The planned joint venture between Royal Air Maroc and Qatar Airways will be a relatively small but tidy affair. More importantly, it signals the future direction: each carrier will work more with partners. Qatar Airways plans more JVs, with a IAG one highly anticipated. Qatar has an existing JV with Cathay Pacific. RAM is planning a JV with Iberia, with the Iberia and Qatar partnerships likely to be followed by joining the oneworld alliance. RAM will give oneworld a long-sought expanded presence in Africa. Under the JV, RAM will operate from Casablanca to Doha three times a week from 09-Sep-2015 with its 787-8, supplementing Qatar’s existing daily service. Qatar is expected to open a service to Marrakech. Qatar will gain access to RAM’s Africa network from Morocco while RAM beyond Doha is eyeing Asian connections. Accessing Qatar’s Asian network has smartly taken precedence over a risky plan for RAM to fly to Beijing. The JV between RAM and Qatar was orchestrated at the government level but brings strategic value to both. RAM had been considering service to Dubai but was concerned by Emirates’ might; Emirates operates 12 weekly Dubai-Casablanca flights. Although Doha sees lower point-to-point traffic to Morocco than from Dubai, the ability to tap into Qatar’s network beyond Doha is important. RAM tells CAPA it is now unlikely it will serve Dubai since it will fly to Doha. The benefits to Qatar are fewer, if only because of its greater overall size. Qatar will have a partner’s capacity to work with, with the combined 10 weekly Qatar/RAM flights offer 2,606 seats compared to 4,774 by Emirates. Emirates has increased its Moroccan presence over the past year; in May-2014 it offered 2,486 weekly seats – about what Qatar and RAM will initially offer. Qatar Airways CEO Akbar Al Baker says Qatar is considering a Doha-Marrakech service, with the connotation the service is all but a done deal. Marrakech will need to cater to the leisure segment. Beyond Marrakech, RAM’s network is entirely to Europe with no international African connections. No Gulf network carrier serves Marrakech. Qatar will also gain access to RAM’s network from Morocco, which has strength in North and West Africa, regions not large for Qatar (especially West Africa). The Qatar partnership is an evolution for RAM, which originally had a partnership with Emirates. That was followed by a partnership, including codeshares, with Etihad. The Etihad partnership is still active but is expected to be wound up following the Qatar JV. During RAM's structuring earlier this decade, the Moroccan government considered selling a stake in RAM to a foreign carrier who could provide strategic benefits; Gulf carriers were listed as contenders. RAM has been looking for a few years for a strategic partner. Many of RAM’s African points are served less than daily, potentially limiting connecting opportunities beyond Casablanca. RAM has 26 routes covering 32 destinations to Central/West Africa, a region Qatar is under-represented in. Only four of those 26 routes see daily service or more. 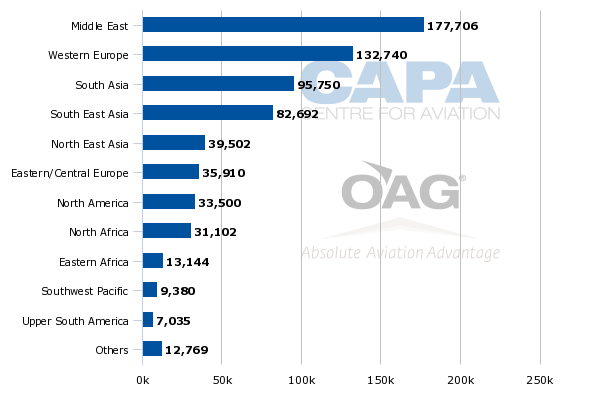 But to put this in perspective, RAM has more service to/from/within North/Central/West Africa than any other African carrier for international flights (excluding domestic services within Nigeria, for example). RAM offers 272 weekly flights within this bloc compared to 195 from ASKY. RAM is also the leader on the number of seats offered. RAM's African network extends only as far south as Luanda in Angola; South Africa is not served. To the east, RAM flies as far as Bangui; the large economies of Ethiopia and Kenya are unserved. These could be network holes to fill but also show RAM's strength: it is the largest in the North/Central/West Africa region despite not serving large markets elsewhere in Africa. In northern summer 2015 RAM will grow its African network, largely by ending multi-stop service in favour of non-stop flights. Services to Lagos and Accra will be direct instead of stopping in Cotonou and Lome. Before Freetown and Monrovia were served jointly three times a week but each will receive non-stop service at a higher frequency: daily for Freetown and five times weekly for Monrovia. Other increases include Dakar receiving a third daily service while Abidjan will be increased from 10 to 12 weekly. Later in 2015 Banjul will be increased from five weekly to daily while Tunis receives an additional daily flight during peak periods. Overall, RAM says approximately 50% of its Casablanca traffic is international connections, largely linking Europe and Africa via Casablanca. RAM's North American network is largely focused on point-to-point traffic to/from Morocco, with international connections comprising only 10-15% of North American traffic. 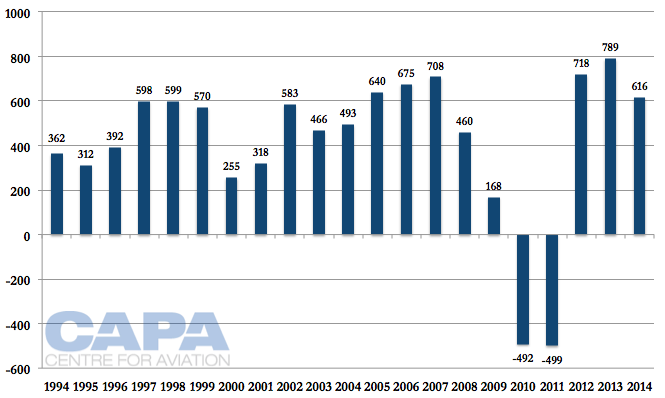 In northern summer 2015 RAM is significantly growing its North American network by increasing frequency and using 787s. Delta ended its partnership with RAM at New York JFK (which with Montreal are RAM's only North American points) so RAM has partnered with locally-based JetBlue. The partnership is helping RAM with its growth this season in New York. The prize in the JV is RAM gaining access to Qatar’s network from Doha. Previously RAM has essentially focused on the African and European market with some service to North America and the Middle East. In the Middle East RAM serves Beirut, Jeddah and Riyadh. Morocco is experiencing growth in visitors from Asia, with RAM citing recent 15% growth in Morocco-Asia traffic (although from a low base) and the government wants to harness the potential. Qatar Airways and Doha open up a huge network to the east. Qatar’s Asian network spans Tokyo to Jakarta, and there could also be opportunity to tap into the Australian tourism market, where Qatar has service to Melbourne and Perth. Greater access to the Middle East will also be important for RAM. Morocco’s tourism profile is still very anchored to Europe, which accounts for the majority of visitor arrivals. Even if Asian visitor numbers are lower, the experience in other markets is that their value – through duration of stay and spend – is higher. Europe is also a relatively mature market, and EU-Morocco open skies has allowed European LCCs to take up the opportunity (mostly to Marrakech and not Casablanca). This hurt RAM and pre-empted a restructuring, but RAM has stated the benefit to the country outweighs any pain to RAM. In 2013 Morocco saw a 7% year-on-year increase to 10.05 million, crossing the 10 million mark for the first time. This was also the first significant growth since 2010. The intervening years were impacted by regional instability and terrorism fears. Over 66% of 2013's visitors were from France, Spain, Germany, Italy, the United States or unspecified Arab states. The balance is not broken down. Morocco wants to increase visitor numbers to at least 18 million by 2020. RAM confirms to CAPA it is no longer looking at opening a service to Beijing anytime soon. RAM Chairman and CEO Driss Benhima politely says of plans to fly to Beijing: "perhaps not". The Qatar JV development has made the Beijing route redundant, with Mr Benhima saying RAM will focus on "Doha as a hub". RAM confirms it is in discussions with Iberia for a joint-venture, although the extent is unclear. 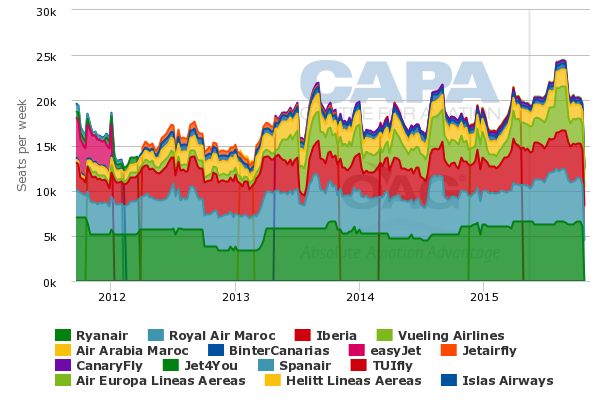 In the Morocco-Spain market, Ryanair is the single largest carrier in May-2015 with a 34% capacity share, according to OAG data. Iberia holds 21% and RAM 20%, so their combined capacity would overtake Ryanair – and more so if Vueling's 14% capacity share is added. RAM confirms Iberia still holds a stake of under 1% in the carrier. Air France also holds a stake under 1% in RAM. RAM and Air France have a JV but only covering maintenance. RAM is open to further arrangements. "As a medium-sized airline, a way to grow is to develop partnerships," Mr Benhima says. "We shall use the same [Qatar JV] model to promote" Morocco and RAM, Mr Benhima says. Spain is Morocco's largest market after France – but this is by some distance. Spain is RAM's second-largest market, accounting for 5% of international seats. France is RAM's largest, and by some lead with a 39% share of all of RAM's international seats. Mr Al Baker said Qatar will form more JVs (in the plural). Its first JV was a low key affair with Cathay Pacific. 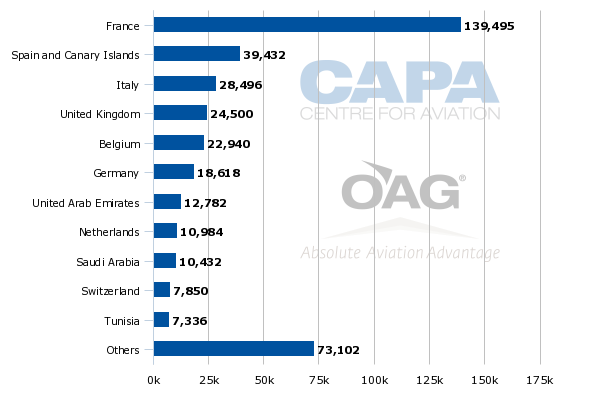 Qatar also has a cargo JV with IAG - and a broad passenger JV between IAG and Qatar is widely expected. RAM's Qatar JV and planned Iberia JV give it relatively deep relations (for a carrier of its size) with oneworld. This comes as RAM weighs an alliance membership. For RAM to work towards these two oneworld JVs and then join another alliance would be unusual, and Star could be expected to object to a JV with a Gulf carrier (and, further, one in a competing alliance). These two JVs bring RAM closer to the oneworld fold. CAPA previously examined RAM's African network, which would be the biggest draw for an alliance. There is considerable overlap with Star Alliance, perhaps diluting value to the existing members as well as RAM itself. 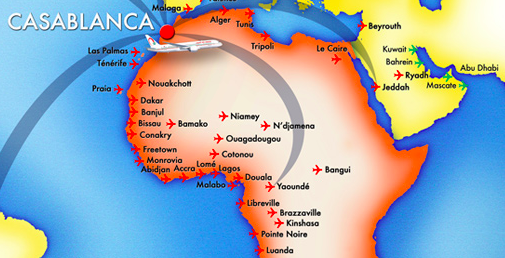 Alliances are also interested in an airline's connecting markets...This makes RAM more relevant to the West African market than its home North African market. RAM wants to grow further in Africa but there are no specific growth plans. This African component could be of interest to the alliances: the Europe-Morocco market is established, with a large presence from LCCs, but parts of Africa can be white spots to alliances. No alliance has a dedicated North African member (EgyptAir straddles Africa and theMiddle East), or one from Central/West Africa, a market defined by large populations and often healthy yields but also limited access and few reputable carriers. After a difficult restructuring, RAM posted record profits in 2012 and 2013. Its very limited financial information reported a MAD616 million (USD64 million) operating profit in 2014, lower than 2012 and 2013. Profitability was surely impacted by Ebola in RAM's West African catchment area, but the profit is also RAM's third highest in seven years. Risky growth would endanger RAM's new-found strength. Not only has it returned to profitability, it is more efficient. 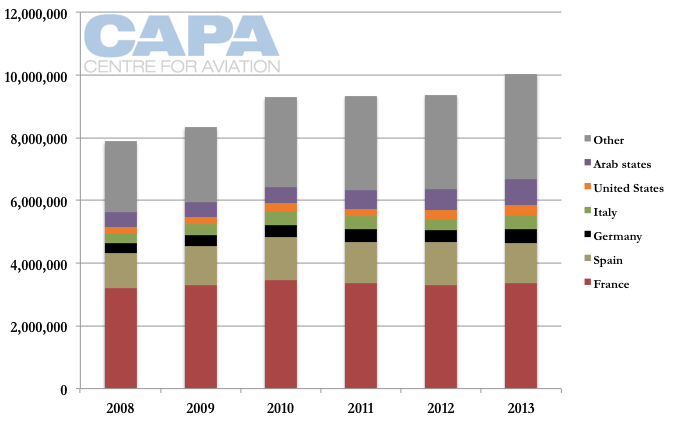 This will help it achieve its objective of operating 100 aircraft in 2025, up from 53 in May-2015. For a carrier with strength in a market – domestic or regional – partnerships provide benefits of expansion without the risks of organic growth. This is the direction RAM is heading in, relying on organic growth for its core North American network (although 2015 growth is high), and now the Qatar JV for a large part of the world RAM and Morocco have not explored. Alliance membership would bring further gains across existing markets and new ones. Besides the Middle East and Asia, Russia is an opportunity for tourism growth. Global alliances now include the large non-Gulf full-service airlines, leaving membership to smaller carriers. While the airlines may not be as big as past joiners, the markets they serve can still be large – and growing. RAM would make a tidy addition, and it would have much to gain. RAM also offers a global aviation recovery model: it is a government-owned airline that was exposed to competition which was benefitting the country but hurting the airline. RAM got on with it, restructured and and is again in growth mode. Rather than resorting to protectionism, the airline was made more efficient and is, seemingly, again prospering.